It's the COOLEST event of the year. 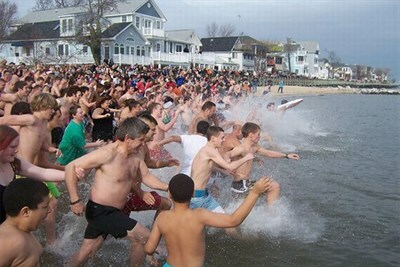 Plungers take a quick dip, splash or swim in the frigid Chesapeake Bay. Some plungers come from far away. For others, it is a New Year's cleanse. Plungers enjoy hot cocoa and roast marshmallows around a bonfire.